Bettina Meyer addresses causes and consequences of population shifts of polar pelagic key invertebrates, such as krill and calanoid copepodes, that drive or have a strong impact on ecosystem functioning. Her research focuses on process-oriented studies in the field and in the laboratory to understand genetic and physiological traits of these organisms to cope with a changing environment. Her analytical approach combines physiology performance indicators with transcriptome changes and behaviour studies to indicate critical threshold tipping points in the ontogenetic stages of these species in relation to environmental stressors. Since 2013 an important focus of her working group has been on endogenous clocks in structuring important physiological life cycle functions of Polar key species. 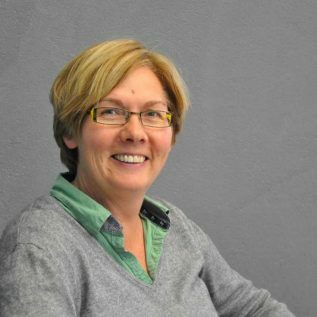 She has a joint professorship between the Alfred Wegener Institute for Polar and Marine Research (AWI) and the University of Oldenburg and is leading the working group “Ecophysiology of pelagic key species” at the AWI. Bettina leads the research in the CHASE project in Germany. CHASE is co-funded by the German Federal Ministry of Education and Research and by NERC.